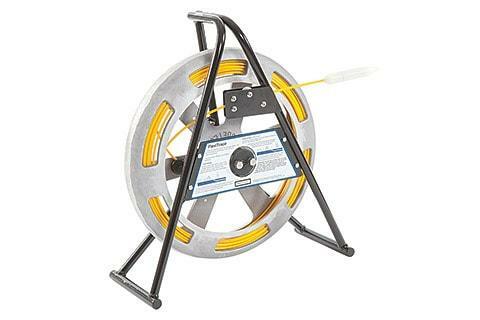 The FlexiTrace reel holds 164′(50m) or 260’ (80m) of small diameter rod. The rod itself can be energised by a Radiodetection transmitter* or Genny and inserted into pipes as small as 12mm. It is used with a Radiodetection locator or C.A.T to find and trace small diameter plastic pipes etc. Unlike using a sonde with a Flexrod, the entire length of the Flexitrace can be detected from above ground.